Data Distributing serves many customers, providing cost savings on all types of Optical Media – at a much more competitive cost than typical office supply companies and GPO providers. We source our media from multiple suppliers and have access to many hard-to-find items, as well as some obsolete media. We help save you time by sourcing these products and always provide the best price. Now you can increase your professionalism with CD-Rs, customized with your logo, department header, and any other information about your facility…at an affordable price. Turnaround time is only 4-5 days! Multiple layouts for different Depts. You would just need to provide us a graphic file of your logo and instructions on the data fields. We will quickly create an electronic mockup and work with you on revisions, this process can be completed in just a few hours. Because of our direct relationship with manufacturers, Data Distributing helps you cut costs on supplies for your CD recording system. Our warehouse is fully stocked with ribbons and ink cartridges for your system, so your order will arrive in a timely matter. Our experienced staff understands that certain media will achieve better results than others, depending on your type of system. Whatever we recommend, you can be confident Data Distributing will save you money on your media. We carry a full product line of CD and DVD packaging and storage solutions to organize, protect, and distribute your institution’s digital media – at a fraction of the cost of typical office supply companies. Our most popular CD sleeves. It is a highly economical CD sleeve and comes with a clear see-thru window for easy viewing along with an ungummed flap. Manufactured from 24# paper and packaged 100 sleeves per box. 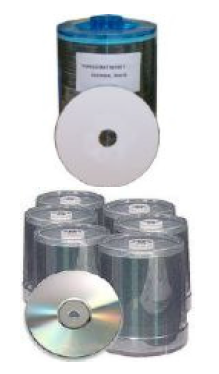 These polypropylene CD clamshells are a durable yet easy-to-use alternative to standard CD jewel cases. Ideal for mailing or shipping CDs due to their lightweight, durable design. Thin profile with a flat spine. Packaged 200 clamshells per box. Jewel cases are ideal for shelf storage of CD/DVD media. Clear plastic with black hub tray. Also an inexpensive alternative to the TDK Med Caddy. Jewel Cases are available in standard size as well as slimline. Packaged 50 per pack. 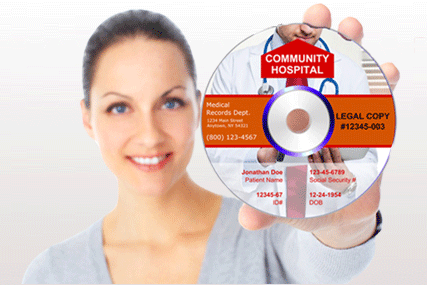 Tamper-resistant peel and seal white cardboard stock envelopes for mailing CDs to patients/ physicians. The smaller 5” x 5” size is perfect for mailing a single CD/DVD. The larger 9” x 7”size is ideal for mailing CD’s in jewel case or clamshell, along with radiology report. 100 per pack. We also do custom print CD Mailers in full color or single color with very low minimum orders and no setup fees. Call today for a price quote. Quantity discounts are available. 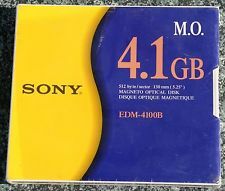 In December of 2014 Sony Corporation announced they will be no longer manufacturing Magneto Optical Disks, resulting in limited supplies and variable pricing. Data Distributing has an extensive network of suppliers and still continue to provide these products for our customers. We have access to a limited supply of new Optical Disks as well as Recertified Disks – in all sizes and storage capacity. Brands include Sony, Verbatim, HP, Max Optix and Plasmon, among others. Contact us with size and storage of the disks you use and we will provide you the options available. We work with many hospitals that require special recordable media for certain modalities, workstations and drives. Data Distributing has access to multiple manufacturers of the entire spectrum of storage media including DVD-RAM, DVD+R, DVD+RW, DVD-R, DVD-RW, CD-R, CD-RW. Please let us know what media you require and we can provide you multiple brand options and the best price. 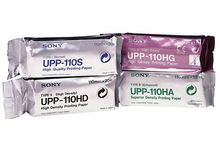 Data Distributing is your trusted supplier for media used in new and discontinued models of the Sony and Mitsubishi Medical Video Printers, including paper, ink cartridges, and film. Contact us with the model of your printer and we will provide you the best possible price. Maxell 4MM tape products include 4mm/60m, 4mm/90m, 4mm/120m, 4mm/125m. The first generation of LTO, Ultrium 1, has a native capacity of 100 GB per cartridge and a native transfer rate up to 20 MB/second. 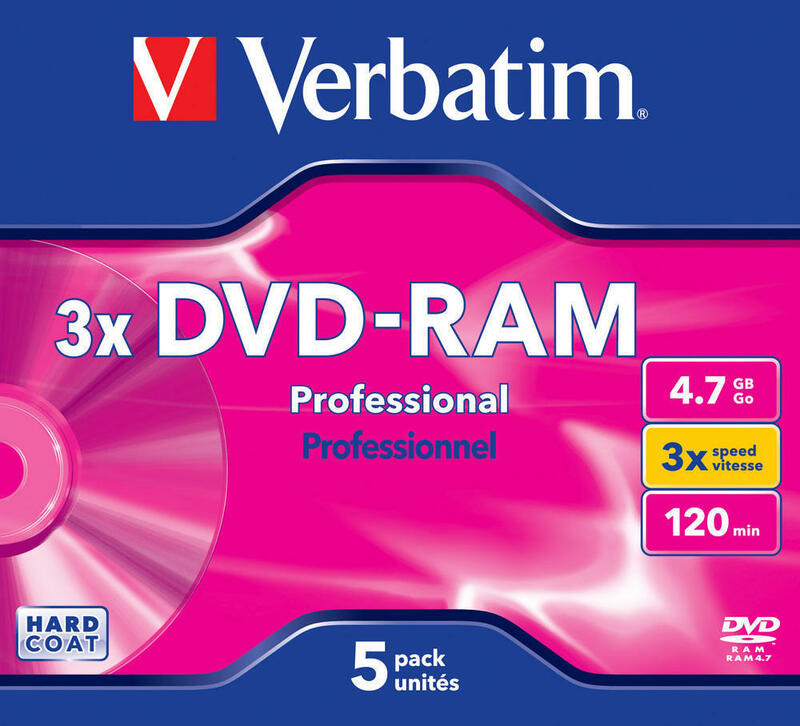 Reliable high-capacity storage and long archival life. The second generation of Linear Tape Open (LTO), Ultrium 2, has a native capacity of 200 GB per cartridge. ATOMM™ technology and DLTtape™ IV. The answer to the high capacity storage and archiving needs of midrange systems, network servers, and high-end Workstations. Compressed capacity of up to 80GB on a single tape combined with sustained transfer speeds of 6MB/second provide the performance essential to data-intensive applications, while Fujifilm’s industry-leading technology delivers the durability and reliability you need to protect your data investment.